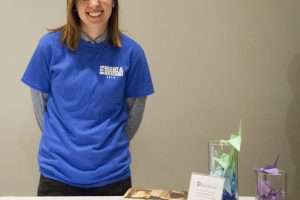 On select Fridays during fall and winter semesters, the MOA invites campus and community patrons to the museum for refreshments, live entertainment, artist meet-and-greets and typically a new exhibition opening. 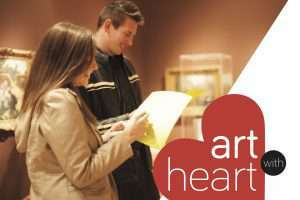 **On Hiatus Until April 1** Art with Heart is a fun new program that allows patrons to have a semi-guided experience at the MOA with the help of a scavenger hunt featuring questions, activities, coupons and prizes! 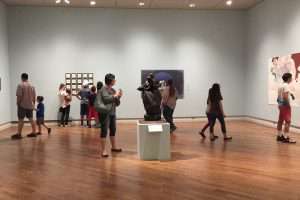 This new website allows students and faculty to browse the key artworks in MOA’s permanent collection by time period, location, and themes that are pertinent to the Civilization curriculum. The MOA is open til 9 on Monday night for Family Home Evening! 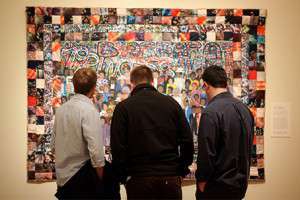 Join a tour on Monday nights at 7:15, or explore on your own! 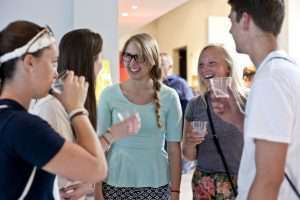 Find out about Internship programs available through the Museum of Art. 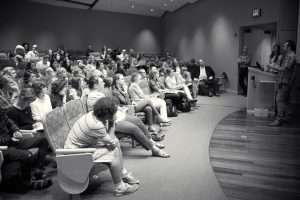 The MOA’s free lectures, symposia and conferences offer patrons a chance to learn more about museum exhibitions from artists and scholars from all over the world and view screenings of acclaimed educational films. 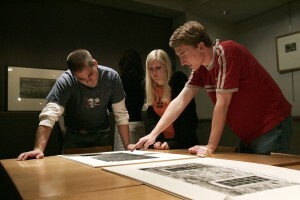 The Print Study Room allows guests to arrange to see artwork not currently on display including masterworks related to the Civilization curriculum.